ICEM recognizes that GIS and spatial analysis are central to water management, river basin planning, hydrology monitoring and flood forecasting. Therefore, multidisciplinary and integrated modelling underpins most of the organisation’s work, from climate change, biodiversity, integrated assessments and water to energy. 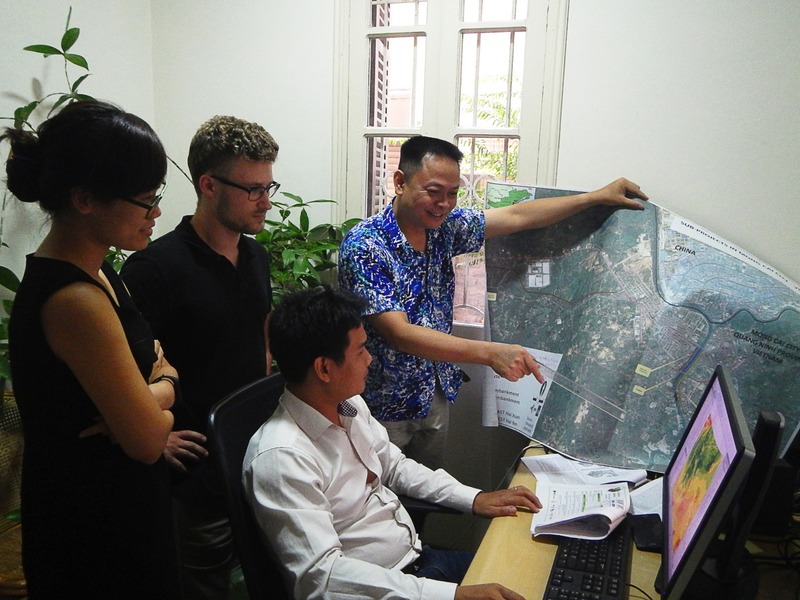 This area of expertise was strengthened by the recent arrival of river basin management specialist, Rens Hasman, water resources and environmental engineer, Taylor Winchell, and water engineer and modeller, Minh Pham. 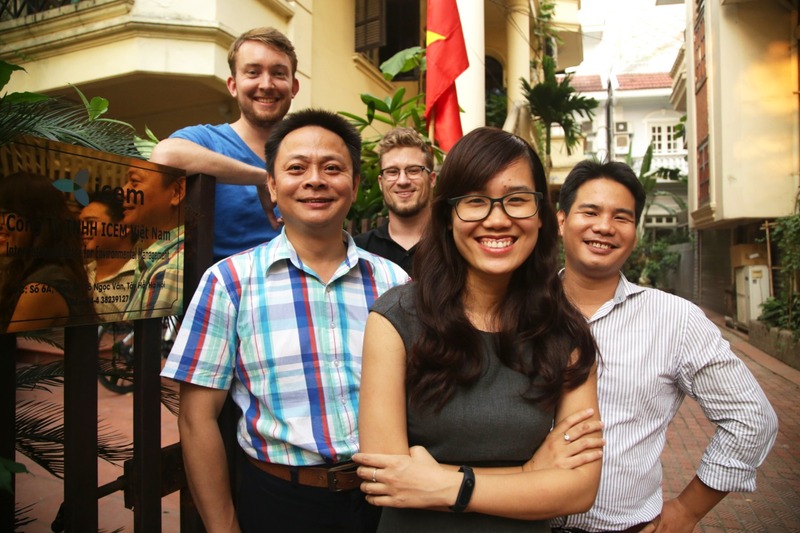 They join current ICEM experts Vinh Mai (GIS and modelling program manager) and Thuy Nguyen (GIS officer). With their support, ICEM is developing a modelling package for stakeholders in integrated water resources management across a broad spectrum of fields such as urban and catchment-wide water management, river basin and floodplain development, sediment transport and pollution load. The modelling package will be available for free to project partners. It will put expert knowledge and resources in the hands of governments and NGOs that otherwise do not have access to expensive modelling software, says Winchell. The package will include a suite of relevant, existing open-source modelling software used with ICEM projects. Project partners will be trained on the use of these free-source models in order to benefit from these tools long after the projects have been completed. In addition, the ICEM modelling team is working on a number of other exciting projects. 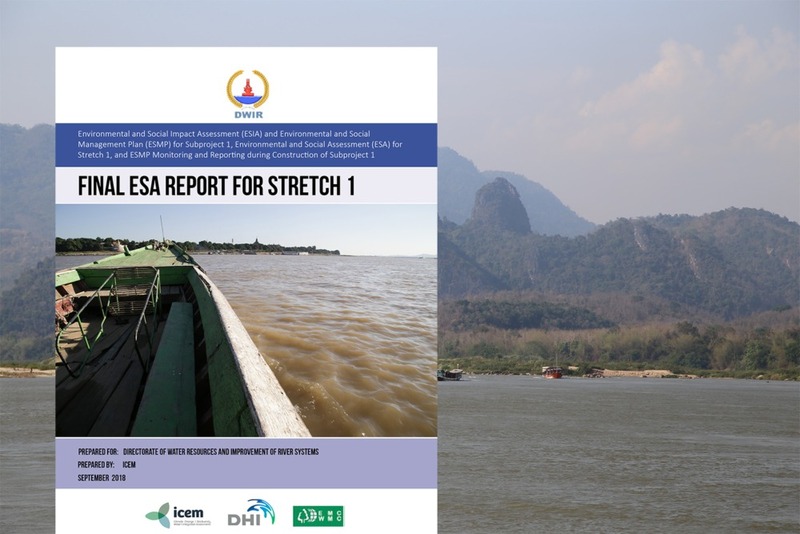 These include the Feasibility Study and Capacity Development for Strengthening Disaster Risk Management and Rural Resilience in Cambodia, the Myanmar Healthy Rivers Initiative, and the Environmental Study of the Lancang-Mekong Development Plan in Lao PDR.